How to dilute essential oils for your Ultrasonic Diffuser? A good rule would be using RO or bottled water and adding no more than 12-15 drops of oil per 4oz of water. One of the oldest essential oils uses is steam inhalation – a traditional method of putting a few drops of oil or parts of a plant like eucalyptus leaves into the pan with boiling water. Cover your head with a blanket over the pan and breathe in the steam for 15 minutes or so. With modern ultrasonic diffusers, this procedure seems to be more convenient although may be less effective. Hot steam helps with opening nasal passages and skin pores. Try both and see which one works the best. Like all concentrated chemicals, essential oils should be handled with extreme care when used undiluted even for just inhaling. The safest method would be to using a stylish necklace that works as an essential oil diffuser. This method is the simplest of all essential oils uses but can be really effective. For more information read Essential Oils Safety Guide. Before adding essential oils to your bath water you need to dilute them to avoid skin irritation from the essential oil drops floating on the water surface. A bath requires only 5-8 drops total of essential oil in a carrier which can be a tablespoon of vegetable oil, a cup of whole milk, an ounce of aloe vera gel or bath salts. Using essential oils in a bath is really beneficial since oils work through skin and inhalation at the same time. Oil Pulling has been used for centuries as a traditional Indian folk remedy to prevent and cure bleeding gums, cracked lips, tooth decay in addition to strengthening gums, jaws, and teeth. It is simply an oral Ayurvedic detoxification procedure that is done by swishing a tablespoon of vegetable oil in your mouth for 10-15 minutes. Can you trust this old remedy? You bet! Out of all essential oils uses oil pulling is probably the most useful for people that have constant gum inflammation problems and spend hundreds of dollars on deep cleaning procedures. You may view the whole list of 160 essential oils here. Allspice, Chamomile, Cinnamon, Citronella, Lavender, Lemongrass, Menthol, Neroli, Peppermint, Rose, Thyme, Ylang-ylang. In fact, a large number of “Natural Flavors” used by food manufacturers already contain these essential oils. Of course, NOT ALL essential oils can be safely consumed. Please, do your own research and use common sense. As strong spices, essential oils should be ingested in very small amounts always mixed well with food or smoothie (max 1 drop per cup) and only by recommendation of Clinically Certified Aromatherapist or a doctor trained in Aromatherapy. 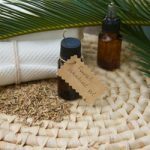 Only a few essential oils are weak enough to be applied to the skin without dilution and only if directed by Clinically Certified Aromatherapist. 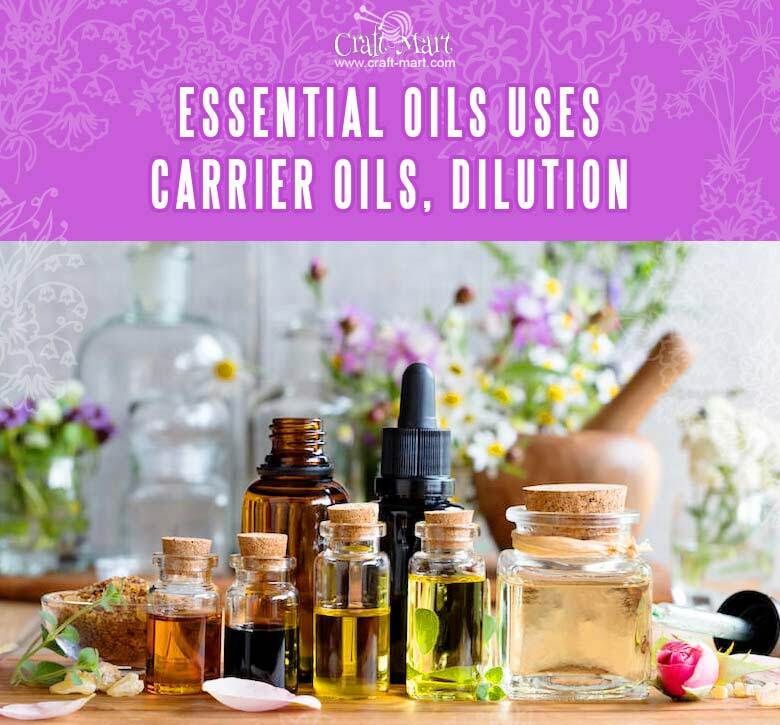 All other essential oils need to be diluted using carriers such as Aloe Vera gel, lotion or carrier oil. In general, any organic vegetable oil can be used as a carrier oil. There are two main reasons for mixing essential oils with carrier oils for skin application.Firstly, all essential oils are highly concentrated and can irritate or even burn your skin if applied non-diluted. Secondly, they evaporate into the air rather quickly. Carrier oils will keep them from evaporating. More details here. Although any vegetable oil can be used as a carrier oil we’d like to recommend a few not very common oils that have more benefits in comparison with the usual list of suspects like Coconut, Jojoba, Avocado, Grapeseed or Olive oils. Flaxseed Oil – a source of omega-3, has strong anti-inflammatory properties that help to deal with all kinds of skin or internal inflammation problems. Flaxseed Oil can be used internally and externally. It should be kept refrigerated. For most of the general needs like skin maintenance 1%-2% dilution would be adequate for adults and kids older than 8 years. Dealing with more serious problems such as acne, muscle or arthritis pain may require stronger solutions up to 10% or even 20% in rare cases. When you intend to apply essential oils to your skin it is strongly recommended diluting them and testing on a small skin area first. This way you will have a lesser change experiencing a violent reaction in case you will turn out to be allergic to this essential oils or the plant.Children skin is also more sensitive to irritation, so for them, 1% dilution would be the same as 2% for adults. Of course, not all essential oils have the same strength, and a few of them require even greater dilution. Each oil on our list has recommendations for acceptable uses and a list of known side effects. Davana Essential Oil is extracted by the steam distillation of flowers of the Davana plant. Davana oil is also used in making perfumes and insect repellants. Dill may lower blood sugar, so you should be careful and consult your doctor if you have diabetes. 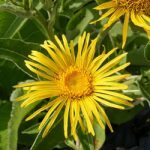 Elecampane is not well-known in the Western World. It was believed that Elecampane plant to have sprung from the place where Helen of Troy’s tears fell – hence its Latin name Inula helenium. Elecampane root decoction can be taken internally (1 tablespoon 3 times a day) if you have a persistent cough. It helps to relieve coughs, aid in chest infections and respiratory difficulties, improves digestion, promotes urination. 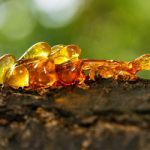 Elemi (Canarium luzonicum) Essential Oil often used as a perfume, fragrance ingredient, and by paint industries. Elemi oil is actually believed to have been used in ancient Egypt for embalming mummies. It comes from the oleoresins of Canarium Luzonicum and Canarium Ovatum which are common in the Philippines. 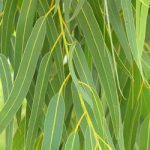 Eucalyptus Essential Oil is most often used to loosen phlegm and alleviate congestion associated with the common cold, flu or more severe conditions such as bronchitis. Studies show that eucalyptus oil is a vasodilator, meaning it helps to relax blood vessels and improve circulation. Eucalyptus oil is rich in cineole, an antiseptic that kills the bacteria that can cause bad breath. It is beneficial for people with joint pain and arthritis. 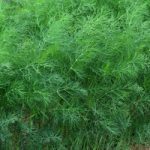 Fennel essential oil is produced through the steam distillation of crushed fennel seeds. Fenugreek essential oil from the ancient times was known as the remedy for promoting lactation. 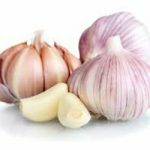 In addition to that, it fights certain viruses, prevents the cells from free radical damage, lowers blood glucose, boosts blood circulation, reduces inflammation on the skin. 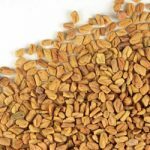 Fenugreek oil is one of the few substances that stimulate beta cells of the pancreas. It is often used for soothing pain and relaxing aching muscles. 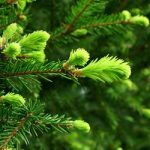 Fir Needle Essential Oil is extracted through a process of steam distillation from fir needles. It has a high concentration of antiseptic organic compounds that stimulate the immune system and prevent dangerous infections. Fir needle essential oil can actually decrease the number of bacteria in your body that creates that foul odor. 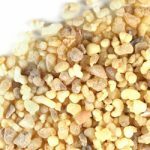 Frankincense Essential Oil is produced by steam distillation of the resin of the Boswellia Carterii (also called Boswellia Sacra) and Boswellia serrata (from India). Boswellia Serrata resin and the essential oil is cheaper but also less powerful. No human clinical trials were conducted in spite of a few positive in vitro Frankincense oil studies on cancer cells. 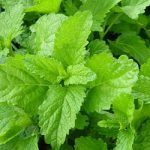 As with many other natural remedies, it may not be recommended as a primary cancer treatment drug. Follow recommendations of your doctor. 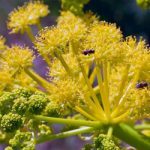 Galbanum (Ferula Galbaniflua) oil has been known since the times of the ancient Greeks. It was mixed in bath water, burnt in incense sticks, used in skin balms, and as a perfume. Garlic oil is produced by the steam distillation of crushed garlic. Dab a small cotton ball in the oil, but do not soak it completely. Then, place the cotton ball against your ear and place a piece of gauze to hold it in place. Oil’s vapors will do the job. 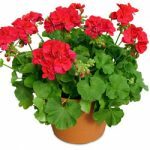 Geranium Essential Oil is extracted through steam distillation of stems and leaves of the geranium plant. It is nontoxic and nonirritant. Not recommended for use by pregnant women and people with high blood pressure. 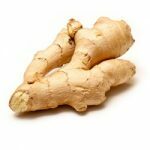 Ginger Essential Oil’s therapeutic benefits come from gingerols, the oily resin from the root that acts as a highly potent antioxidant and anti-inflammatory agent. There are very few known side effects. Not recommended for people on blood-thinning medication. 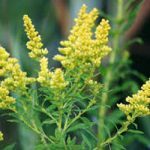 Goldenrod essential oil may not be the best known although it has a variety of therapeutic uses. It has been approved by the German Commission E for the treatment of urinary tract infections. It is also a popular treatment for respiratory conditions, arthritis, and seasonal allergies. Goldenrod essential oil is considered safe when applied topically combined with a carrier oil or inhaled. It should never be taken internally. Interesting facts: Henry Ford gave Thomas Edison a Ford Model T with rubber tires produced from goldenrod. Goldenrod was thrown into the Boston harbor at the time of the Boston tea party. Grapefruit essential oil is an extract that comes from the peel of the Citrus paradisi grapefruit fruit. 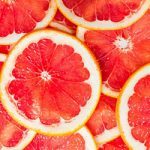 It is known that consuming grapefruit can help losing weight. Grapefruit oil provides similar benefit and can be taken internally, according to FDA, diluted in liquids or food in small doses. 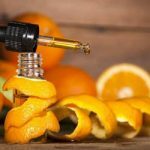 Grapefruit oil is recognized as safe for consumption by the FDA, but only when you use a 100% pure, therapeutic-grade essential oil that only includes one ingredient: grapefruit (Citrus paradisi) rind oil. Add no more than 1 drop per glass to be safe. Helichrysum angustifolium and Helichrysum italicum are the two names for Helichrysum flower native to France, Italy, and a few neighboring countries. It is very rare and expensive, but unlike other essential oils which have a short shelf life, Helichrysum oil can be last for a very long time. 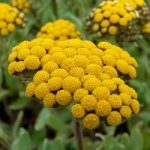 Helichrysum Italicum has many promising pharmacological activities because it operates as a natural antibiotic, antifungal and antimicrobial. Flowers and leaves are the most useful parts of the plant. If you have a rash or poison ivy, applying helichrysum mixed with lavender oil can help cool and soothe any itching. Hickory Nut Essential Oil is one of the most aromatic oils available. 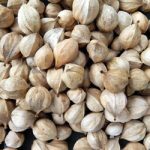 It also has important health benefits that can help people gain weight, enhance development and growth, increase circulation, protect kidneys and heart, and even calm the nerves. 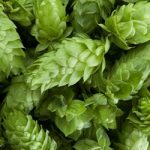 Although Hops are mostly famous throughout the world for flavoring beers, Hops essential oil is used extensively in aromatherapy. Do NOT use it if you are already suffering from deep depression. 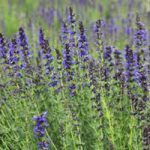 Hyssop improves and promotes circulation which helps cure diseases associated with poor circulation, such as rheumatism, arthritis, and gout. Historically, Jasmine oil has been used in China to help the body detox and relieve respiratory and liver disorders. It also has been used to ease the birthing process and reducing the severe pains of labor and for decreasing milk production. Jasmine is generally considered safe and non-irritating. 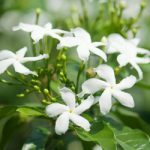 Jasmine essential oil has effective anti-inflammatory properties that give it applications in a variety of complaints caused by inflammation including rheumatism and gout. Juniper berry essential oil comes from the berries and needles of the Juniperus osteosperma plant. 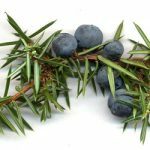 Juniper essential oil helps cure toothaches, strengthens the grip of gums on your teeth, stops hair loss, and protects them from loosening or falling out. 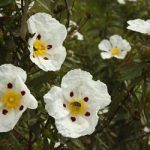 Labdanum Essential Oil also known as Cistus or Rock Rose is primarily used as a fragrance in the perfume industry. Labdanum Essential Oil is often recommended for meditation in combination with sandalwood or frankincense and rose. Lavender Essential Oil induces sleep sometimes used as an alternative treatment for insomnia. The smell of lavender essential oil is potent for many types of bugs like mosquitoes, midges, and moths. 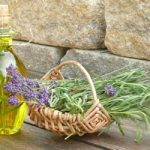 Lavender Oil is on the list of the most effective essential oils for hair growth. 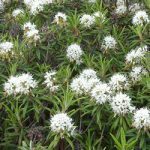 Ledum Essential Oil has been widely recognized for its medicinal benefits for hundreds of years. Possible skin inflammation, gastrointestinal distress, and potential complications if you are pregnant or on certain medications. Unlike other essential oils, Lemon (Citrus limon) Essential oil is usually cold pressed. What’s does this mean to you? It has a higher level of Phototoxicity as all cold-pressed oils. 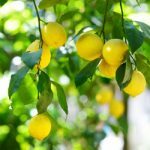 Of all the essential oils, Lemon oil may be one of the most powerful anti-microbial agents according to the International Journal of Food Microbiology. There are no known side effects for steam-distilled oil. 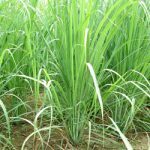 Lemongrass is widely used in Chinese and Thai recipes. Not recommended for pregnant women or nursing mothers. May cause a miscarriage. Lime Essential Oil is extracted by cold compression of fresh lime peels or by steam distillation of its dried peels. 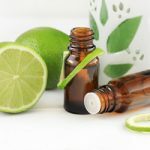 Lime essential oil has antiseptic properties, and it can cure infections. Cold-Expressed Lime oil can cause photosensitivity if exposed directly to the strong sun after application. Mandarin essential oil in spite of being rather mild has many effective healing properties. The oil is extracted through a cold-pressed process. Marjoram essential oil is extracted by steam distillation of both fresh and dried leaves of the marjoram plant. Marjoram is a common Oregano substitute because of their likeness, but marjoram has a finer texture and a milder flavor. Greek mythology tells us that Aphrodite, the goddess of love, was a huge fan of this herb. This is why it has been used for hundreds of years for making love potions. 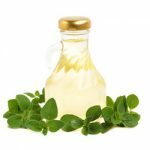 Although Marjoram herb and essential oil can be taken orally as a supplement it is not recommended to use it for long period of time. 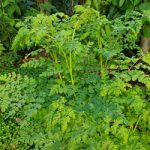 Moringa Essential Oil is extracted from the cold-pressing of the seeds of Moringa oleifera – the “miracle tree”. Mugwort Essential Oil has a different reputation in Europe and Asia. Chinese doctors used it for hundreds of years for treating ailments. In Europe, it got a questionable notoriety as the witchcraft accessory. 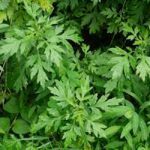 Mugwort (Artemisia Vulgaris) oil is extracted by steam distillation of leaves, buds, and flowering tops of the Mugwort tree. 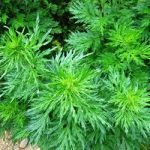 Mugwort essential oil is toxic and irritant in high concentration. Now we can understand why its European reputation is not so great and you should always consult your doctor before using it. Mustard essential oil is extracted by steam distillation of mustard seeds soaked in water. 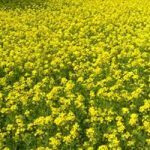 Although using cold-pressed and distilled Mustard oil for topical applications and even for cooking is wide-spread in some Asian countries, FDA permits only topical usage. 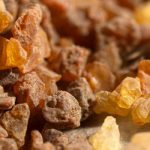 Myrrh is a resin that comes from a tree called Commiphora myrrha, common in Africa and the Middle East. Myrrh essential oil is made from the sap via steam distillation. Two primary active compounds of myrrh oil are called terpenoids and sesquiterpenes. Both have anti-inflammatory and antioxidant effects. May inflammation of the skin for some people. May increase uterine contractins for pregnant women. Myrtle belongs to the same plant family as eucalyptus and tea tree. 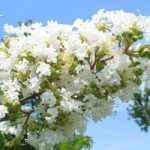 Myrtle oil has been extensively researched for its potential benefits on hormone imbalances, specifically of the thyroid and ovaries. Myrtle oil is obtained by steam distilling the flowers, leaves, and stem. You can make infused myrtle oil at home using myrtle leaves and any carrier oil.